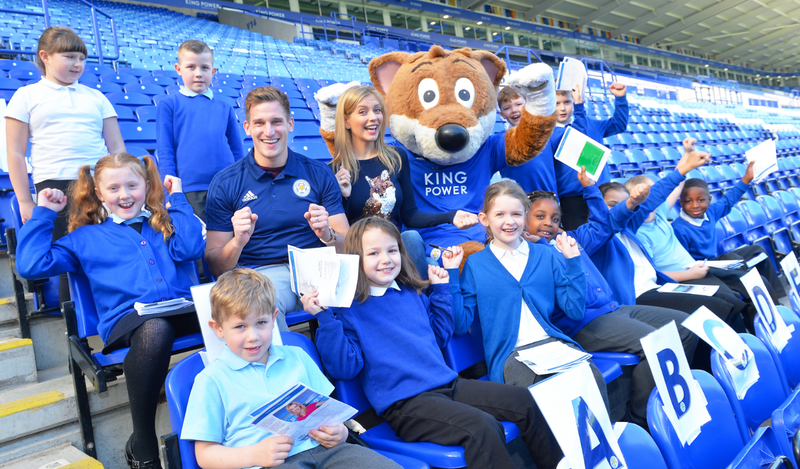 Forest Lodge Community Primary School in Leicester recently received a visit from their local MP, Liz Kendall, so that she could see first-hand the fantastic impact Premier League Primary Stars and the Leicester City Community Trust have had on pupils at the school. Leicester City Community Trust visit the school once a week to help deliver PE, English, Maths and PSHE curriculum-linked activities. Headteacher Clare Caldwell commented: "The children are really inspired, not only by the logo, but by Filbert visiting, the coaches coming in… not only to play sport, but to take part in reading, writing and maths activities - the impact of this programme has been great." Liz Kendall was delighted to see the impact the programme has had on the school, adding, "Using the power of football, not just to get kids playing and physically active, but inspiring them to read and write about football which can then in turn boost their confidence, to then take that in to reading and writing about other things, I think it is really important and completely inspirational." To find out more about Forest Lodge Community School, watch the film on the visit by Liz Kendall above. Discover the full range of resources available for PE, PSHE, Maths and English in our resources section.